Fantastic Experience! Thank you for making this so easy and affordable! Yesenia, the manager, is so wonderful! She was easy to work with, she was personable, and she was an overall delight. I'm glad I picked this storage facility! I also like that the entrance code show's up with my name on the screen, it's a nice touch and makes me feel like a valued customer. The staff were extremely friendly and helpful. Yesenia is amazing! I rented a small unit and i live out of state. The entire process to rent the unit from anotherâs state was made easy because the staff work great together. This all helped with making me feel my belongings are being stored at a safe place. Thank you! The whole business is very clean & nice. Had a few different types of units in the size I needed. Price was reasonable, but did offer half off the 2nd & 3rd months rent. But have to pay $10 for insurance & the first month a administrative fee of $15. But all in all, I'm happy with the place & glad it's open 7-7 daily as well. Great Place. Clean and great communication. Had a good experience with getting set up, no surprise charges, or pressure for upsale. Facility is clean and maintained well. Price is very reasonable for the area. Good place. No issues so far and good value for the space. Nice location, facility, and staff! Storage unit was easy to find, had a nice elevator, and set up was easy. They donât provide locks but there are some for sale, better to bring your own though, and the unit ended up being $10 a month more expensive than I expected because they require ârenters insuranceâ. Overall I think itâs a good deal though because I have used some pretty sketchy storage places and this one felt very safe. Very friendly and personable employees. Storage unit not nearly half as hot as I thought it would be for not being climate control. Wish I knew of this place sooner!! Only downside is the parking situation and where the key lock is located. Def recommend. Very happy with the facility & staff. We loved the service that was provided & the store manager ! My wife & I enjoyed Jensenia! She was very professional and has the best attitude for success. We bought storage to store some tools and she gave us the best deal and it really shows that she loves her job. It was like we knew each other by how comfortable she made us feel. I would definitely reccommend this place to friends and family. Thanks again for the best rates ever! Called because I needed to change the date of my move in and they happily offered before I could ask. Then when I got there Ally in the office was so nice helpful and friendly. I'm very happy I went with this storage unit. They even offer renters insurance. Awesome. I have used Hill Street Storage before and back then it wasn't as nice as it is today. Service was great and showed me my unit before I rented it. Thank you Hill Street. I needed a large storage room immediately. 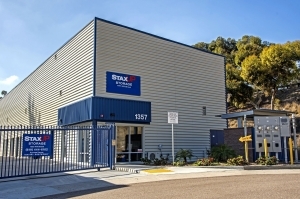 I went to StaxUp, and Mike had the perfect size room to fit my needs. 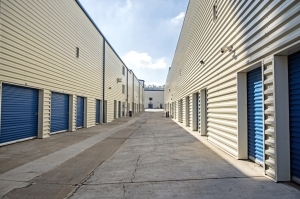 The storage room and facility are clean and well-maintained. The application process was one-page and very quickly accomplished. Mike had it in the computer by the time I had finished the application. My only wish would be customer wifi. Thanks, Mike! Mike is awesome! The price is terrific! I needed a large storage unit immediately. Mike had one that fit my needs. 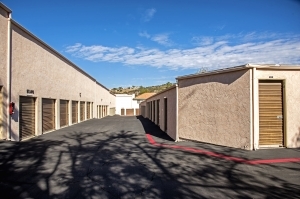 The rental was so fast (1 page application, and Mike was inputting while I filled out the paper application), the unit was clean and secured, and the facility was secure. Overall, I'd say Mike attention to customer service is what sold me. I feel it's a great fit for me. Very cool staff who helped with everything. My only concern was why does my storage have a wet wooden floor? Mike was great. Best and most honest customer service ever. Mike was thorough and personable. I had already selected my unit online, knew what additional fees were, it was a great first meeting! Will move in gradually to not overtax my back, and save UHaul fees. Great, clean, easy move-in. Clean and quiet facility. The guy that helped us was really nice and the place was overall quiet. It's up on the top of the hill right before the fwy. Very quick and easy with great service. The management was excellent... things went as smooth as promised. Including price what was said as price was the price. Got a lock and packed my stuff with no disturbance. 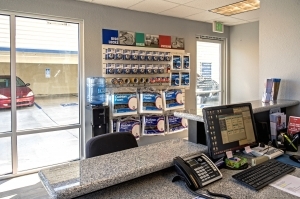 Very great pricing and the manager was very helpful nice and explained things in a professional manner. I would recommend this place to my friends and family for sure. It is in a little side street I had never noticed but the girl was so sweet and informative it didn't matter. The rates are far more affordable than any other chains I had looked into. So happy thus far. Nikki wasn't in the office when we arrived and we had to wait about five minutes but once she arrived she was great. She told us everything we needed as fast as she could and even gave us a loaner lock when we forgot ours. Everything went smooth and facility was very clean. Nice place, I feel secure with my storage there. The place is super clean and customer service was awesome. Pricing was great too! Overall no problems, well run place and very clean. They do really great work. Excellent service have no complaints fast, reliable, service. The only reason I gave it 4 stars and not 5 is because they didn't have the free moving truck available on my move in date. Which I can understand but on my actual move in date, in which we made 2 trips to the facility that day, the moving truck that was "unavailable" was sitting in the parking area the entire time, unused. Other than that, everything else was great! The staff is very helpful and attentive. Way better than public storage or any other chains in town. the employee working there the day I arrived was helpful and patient. I wish there was a light in the storage and some sort of cooling vent but overall, I hope all will be okay. The employee who helped me get set up was friendly and professional. Thanks! Hidden costs that could be disclosed before coming in. $10 for insurance, $10 if you don't have a lock, $15 for agreement fee. Some things to consider before arriving. Once past that, all gravy. Staff was awesome, place is clean and neat, carts available. I like the spot. I didn't know this place was even here and so close to my house. I was pleasantly suprised with how clean the facility is. The staff is very friendly and very helpful. Would definitely recommend! By the time I arrived Glen already had my paperwork started. 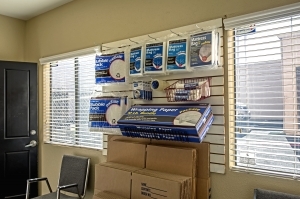 Friendly, professional customer service... clean facility in great condition. Actually exceeded my expectations! The manager was extremely professional and presented himself extremely well with a positive attitude and welcoming smiles. He made the storage place the best we ever have rented from. Decent price for the storage size. Great hours and customer service. Wonderful experience checking in. I felt comfortable and the reassurance that my belongings would be safe was without a doubt. Thank you. Answered any questions that I had and was very friendly. Josh took care of the details and made the experience a good one. Recommended!